For the past sixteen years she has carefully built up a fine reputation based on the quality and purity of the products, a holistic approach to health and individual customer service. 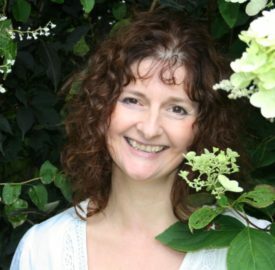 As a qualified aromatherapist with a BSc in Complementary Therapies (Aromatherapy) and member of the International Federation of Professional Aromatherapists, Jacqui has a passion for the environment and all things natural, reflected in everything the company has to offer. A wide selection of artisan products carefully created using organic and wild crafted ingredients, that are made in the heart of beautiful Aberdeenshire, Scotland. Please be assured that all the products fulfil the high standards of purity that Organica J has come to embody. Our mailing list gives you free entry to our Prize Draw + you will get subscriber only savings, aromatherapy suggested blends for common conditions/ailments and new product info. Watch the video below to learn more about comfrey ointment and other organic products from Aromatherapist Jacqui Christie.